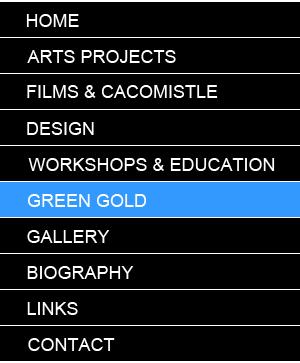 In 2000 she initiated a collaborative art project, Green Gold, which documents the lives of banana workers in Costa Rica, Panama, Ecuador and Cameroon through portrait, testimony, installation and film. 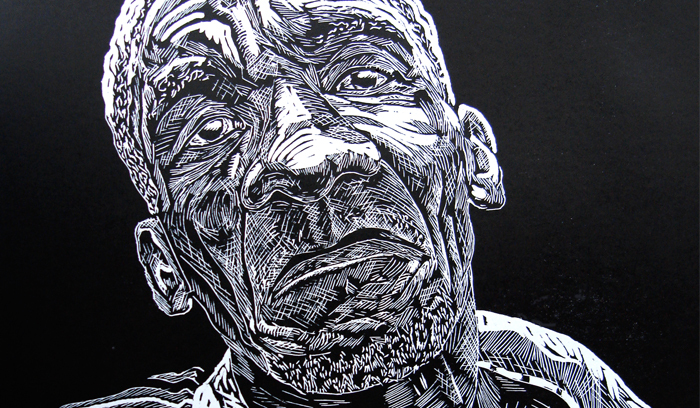 The idea was to find creative ways to tell worker's personal stories of what daily life is like for those who work in the big "dollar" plantations of Latin America; long working days, trade union persecution and exposure to pesticides. 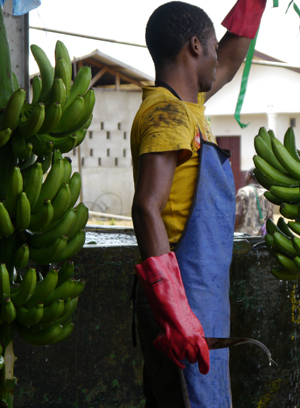 One of the key aims of the project was build a bridge between consumers and banana workers and their communities. Jan became interested in the subject when she met Costa Rican trade unionists, Carlos Arguedas and Doris Calvo. A fluent Spanish speaker, Jan had been asked by WDM Scotland to interpret for them. She kept in touch with both of them and volunteered for Banana Link until she became their Scottish Coordinator, a post that Jan worked in for a day a week for almost 8 years. Over and above her work in Scotland for Banana Link Jan worked and continues to work, independently on the Green Gold project. Jan has made field trips to Costa Rica, Panama, Ecuador and more recently, Cameroon, Central Africa and has gathered testimonies and made a series or portraits, installations and exhibitions. Both of her award winning documentaries from the project, Bonita and Pura Vida, have been broadcast and screened at festivals internationally and are used widely as an educational resource. For more details about the project and to read workers testimonies visit the Green Gold web page or visit either Jan's film page or Vimeo Channel. 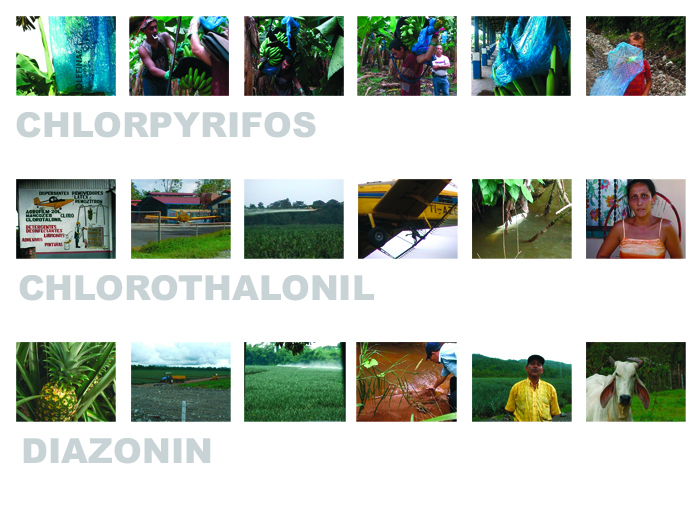 Installation from Green Gold project - Chlorpyrifos, Chlorothalonil and Diazonin are three chemicals commonly used in the growing process for pineapples and bananas for export. All have serious impacts on the health of workers' communities and the environment. 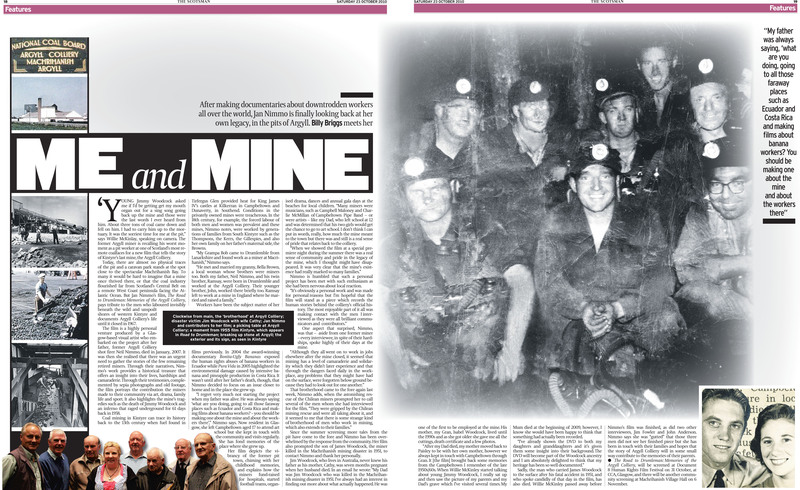 The Scotsman "Me and Mine" by Billy BriggsThe Scotsman "Worst of the Bunch"
For Argyll "The Road to Drumleman - a lyrical documentary on brotherhood at Argyll Colliery Mining"